Have you ever wanted the perfect radio station for an artist, genre, or even one to match your mood? 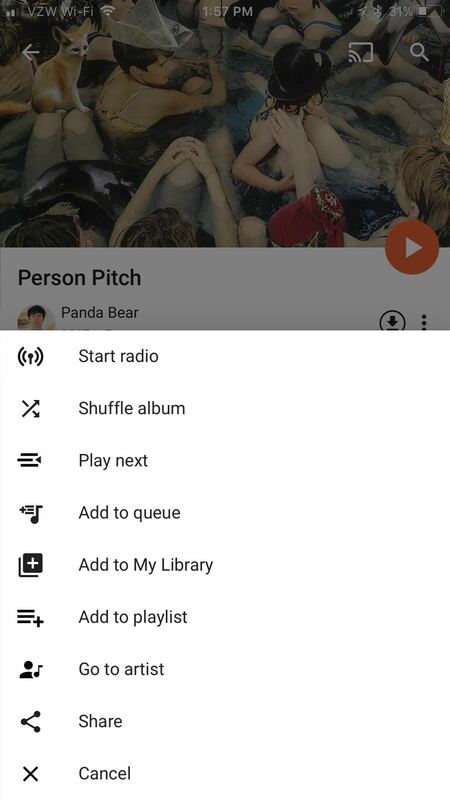 Luckily, Google Play Music has an extensive radio feature that takes you exactly where you and your friends want to go for a quiet brunch, or a neighbors-banging-on-the-walls dance party. 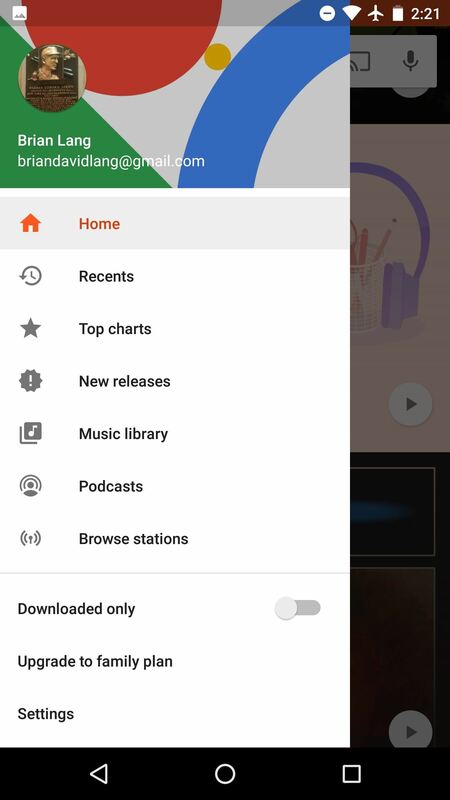 In the previous two installments of Google Play Music 101, you learned how to upload your library and add new music to it. Here, we're going to dive in to radio stations, a much more hands-off approach to finding new music. Exploring radio stations will help you discover tracks you've never heard before, a great way to passively expand your horizons. As with the previous installment, you'll need Google Play Music Unlimited to fully take advantage of these features. 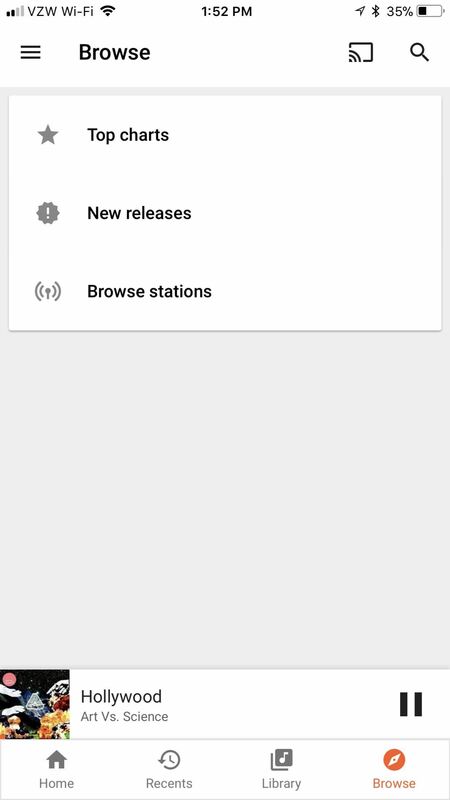 However, similar functionality is available on the free tier, so it's worth learning about radio stations regardless of whether or not you pay for Google Play Music. One of the coolest parts of Google Play Music is how accurately it is able to mimic music that suits your mood. It also tries to pull tunes from your library, so you never feel like you're wading in a pile of music you've never heard of. To get there on your iPhone, tap the "Browse" section in the menu on the bottom of the screen. 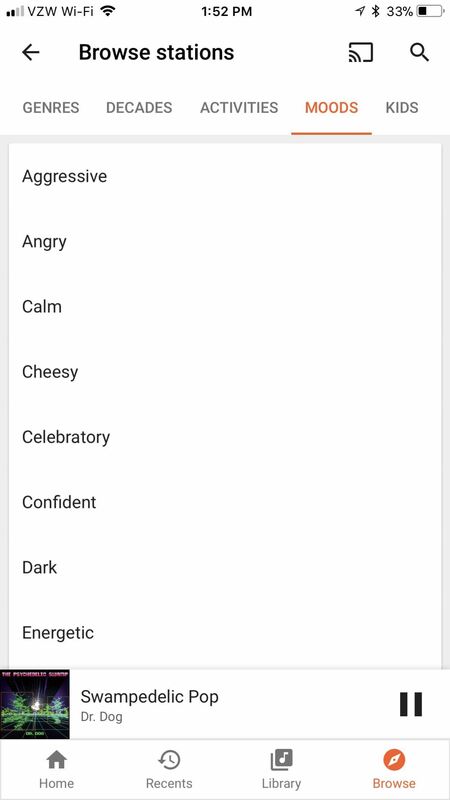 From there, go to "Moods" along the header, and you can choose a radio for however you're feeling! 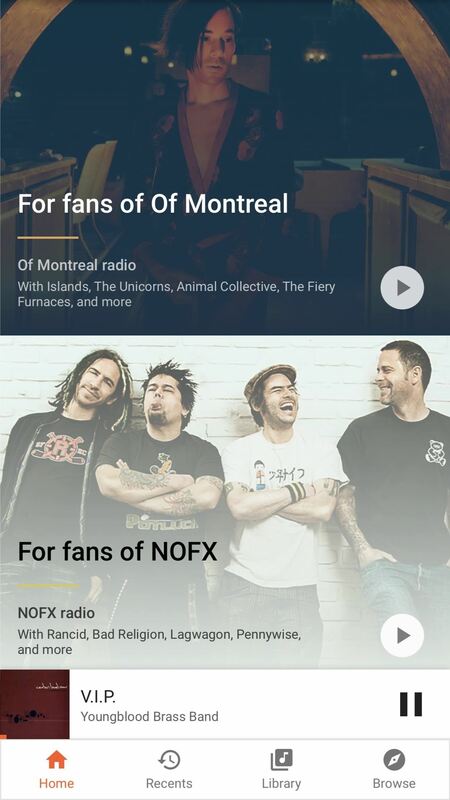 On Android hit the hamburger menu in the top left corner, then "Browse Stations." Note: this is also where you go to get radio stations for certain "Genres," "Activites," "Decades," and even "Kids" (as the headers suggest). 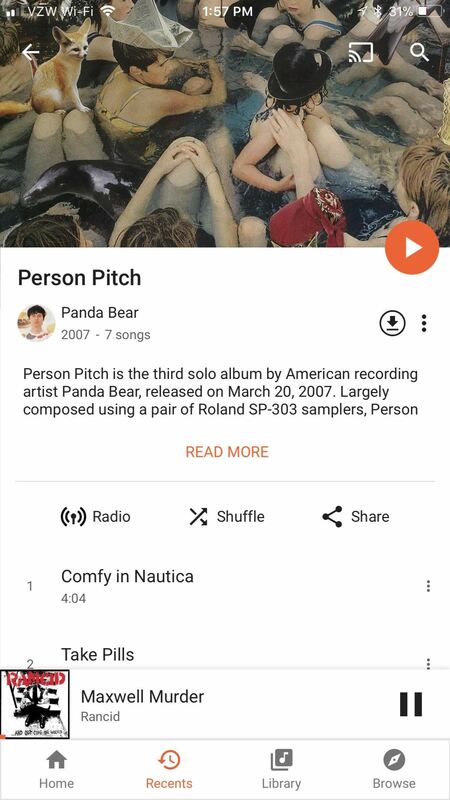 From the home screen, Google will pull some of your favorite artists and other popular music and curate some playlists for you. These change every day (and even depending on your location), so try one when your current rotation starts to feel stale. As with the other radio stations, tracks from your own library will be sprinkled in. As we touched on here, you can create a radio station for one of your artists. 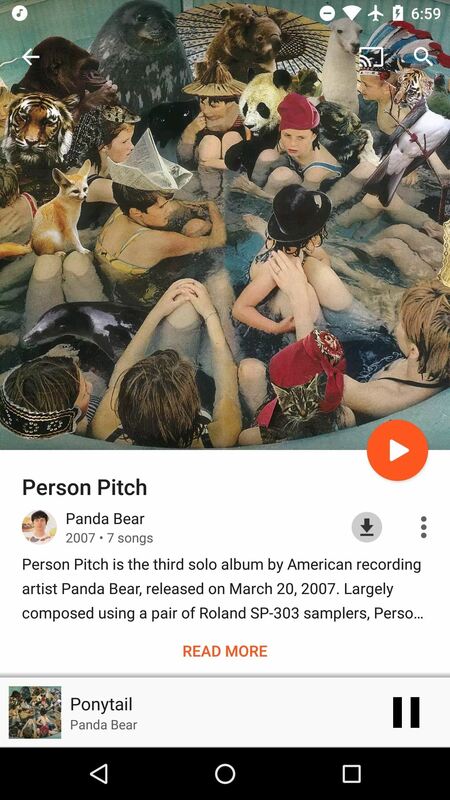 By tapping the three-dot menu button next to any song, album, or artist, then selecting "Start radio," you'll get some hyper-personalized results. Another benefit here is how these radio stations work. If you create a station based on a song, it will begin with that song. Create one based on an album, it'll begin with a song off that album. Same goes for artist-based stations, so a song from that artist will play first. 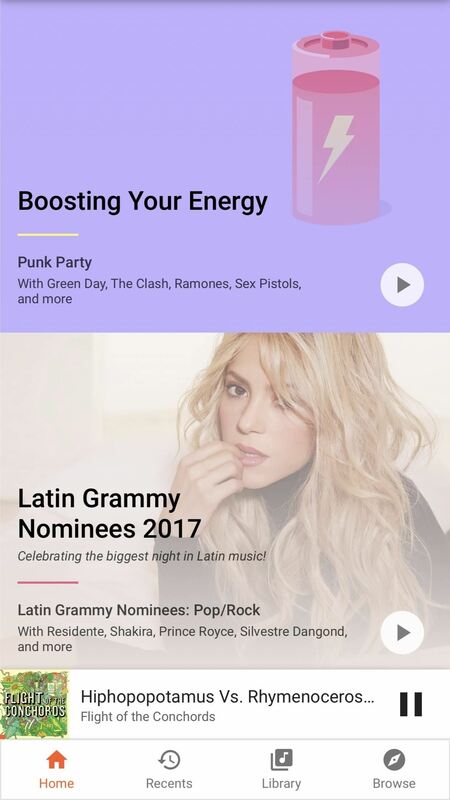 This is where Google Play Music has a massive edge over other services like Pandora. 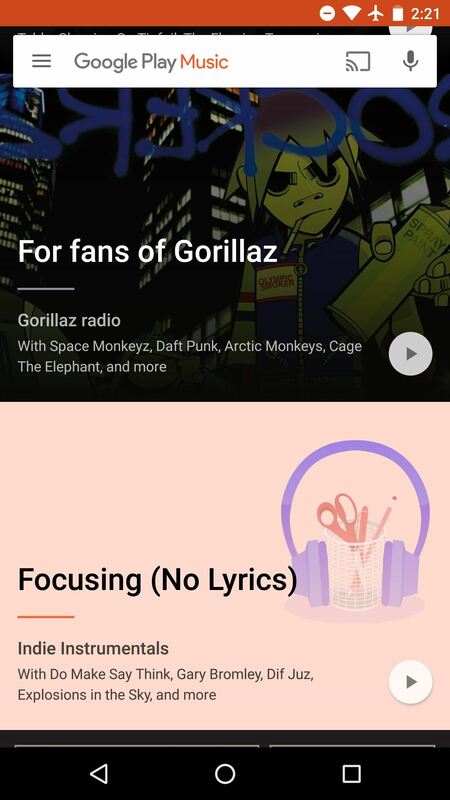 How do you listen to music on Google Play Music? Do you use the radio? If not, do you plan to now? Let us know in the comments below.